Dr. Kevin Yip obtained his medical degree from St. Thomas’ Hospital London, England. 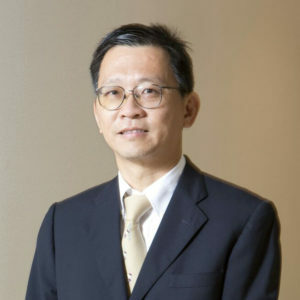 He completed his post-graduate training in London, obtained his Fellowship of the Royal College of Surgeons in 1990, and worked in several hospital units in England before moving to Hong Kong. He became an Associate Professor at the Chinese University of Hong Kong Prince of Wales Hospital and participated in extensive research in various fields especially the knee and shoulder. After leaving Hong Kong in 1998, he joined Gleneagles Hospital as a Consultant Orthopaedic Surgeon. Apart from general orthopaedics, his main areas of interest are knee and shoulder surgery. Dr Kevin Yip is a senior orthopaedic surgeon and a professor who specialises in orthopaedic trauma surgery. He has published close to 100 research articles and is a world renowned specialist. He has worked in the prestigious Raffles Hospital and now has his own clinic at the Parkway Health Gleneagles Medical Center. Dr Ambrose Yung is a specialist orthopaedic consultant with experience in hip fracture surgery, partial knee replacement, complex primary total knee replacement, revision knee replacement, minimal invasive knee and shoulder sports surgery, foot and ankle pain, elbow pain / bursitis, fractures, wrist /hand pain, common orthopaedic problems for Adult and Children.